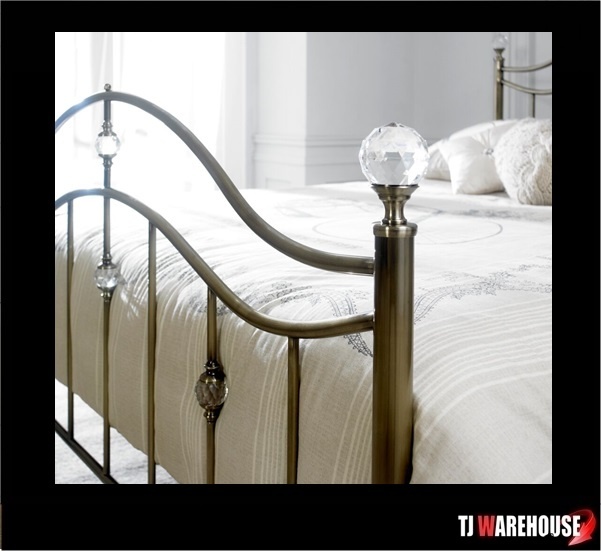 A modern take on a Victorian classic, this stunning bed has slim vertical spindles with a high arched top line. 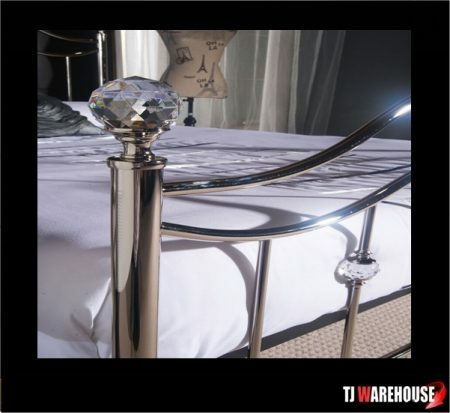 The tall headboard features ornate crystal effect features and the design mirrored in the foot board. 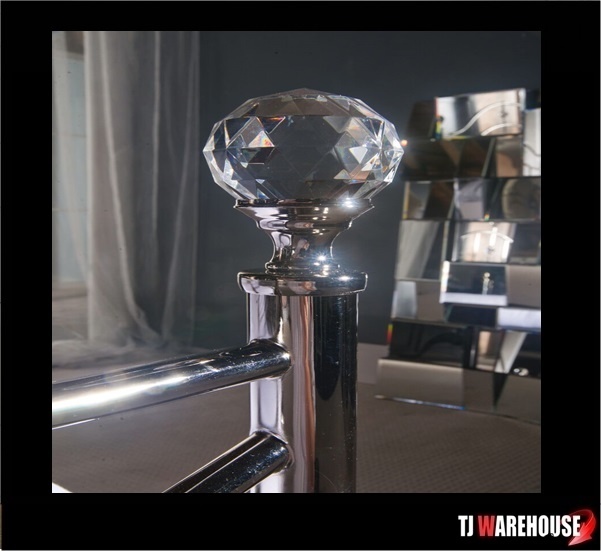 Each bed post is finished with a crystal finial. 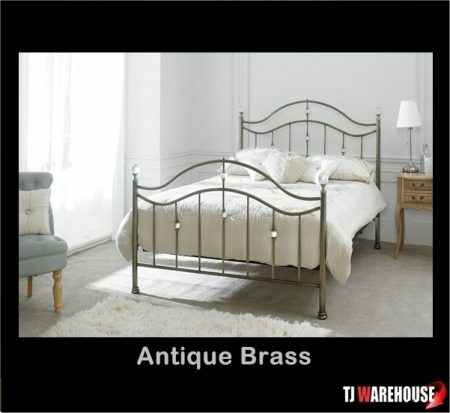 Available in 2 different finishes Antique Brass or Chrome.